In a metal building just off Beach Street and Interstate 30 in East Fort Worth, four rows of long, thin boats, or shells, as they are called, are stacked on metal shelves. Oars, or sculls, line the walls like spears in some ancient armory. Ray Hubbard, whose shirtless body is red from too much sun, shows off the various medals the Fort Worth Rowing Club has won in competition. Hubbard is the boathouse manager of the club, and at 68, he has the energy of a man half his age. He and the other club members take their rowing seriously – their sport is mentally and physically challenging, enjoyed by as many women as men, and their boats are sleek, high-tech creations. “They’re not ‘Rowing Miss Daisy,’ ” Hubbard said. The sport has actually been around in Texas for more than a century. In 1884, the Austin Athletic Association sponsored a race between two four-person boats. A few years after that, thousands of people flocked to that city to watch the world’s best rowers compete in three international regattas. Competitive rowing involves what is called sculling, with one, two, or four people, each with two oars, in slim boats that knife through the water, with sliding seats that work with the rowers to increase the boat’s speed. The slide-seat shells are narrower, often lighter, and significantly more expensive than their wooden or fiberglass forebears. The cost of a modern boat can run anywhere from $1,000 to more than $6,000. 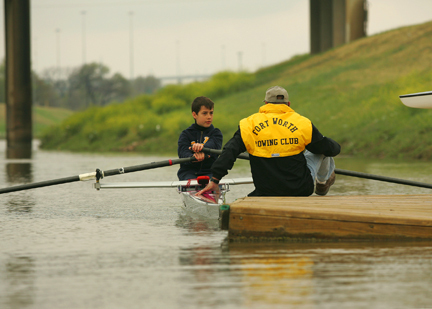 Fort Worth’s rowing club is much younger than many boating groups in the area. It wa s first launched in 1989 and became official in 1991 when its founders became members of the United States Rowing Association. Traditionally, competitive rowing has been a Yankee or Euro pastime. (The last time rowing was big in Fort Worth was the great flood of 1949, and that was hardly an occasion to start a club.) It’s not exactly a top-tier sport in Texas. But in recent years rowing has become more popular, with new clubs being organized around the state. Austin, with its string of dammed lakes along the Colorado River, is now home to five rowing clubs. Many Texas universities offer rowing clubs, teams, and classes. Still there are no high school rowing teams in the Fort Worth school district and no college teams or clubs in Tarrant County. But Lee Smith, the outgoing president of the Fort Worth rowing club and one of its charter members, said membership is growing, and the sport is no longer as obscure as one might think. “Every year it gets bigger,” he said. “When we started the club in ’89, there weren’t many [rowers] around that we knew of.” But then, “We began running into people all over that had been involved in rowing one way or another. We found out that the rowing community was a whole lot bigger than we thought it was.” The club now has about 75 members, he said, with more than half of them women. Smith and several others decided to start the club after a friend was introduced to the sport in Austin. 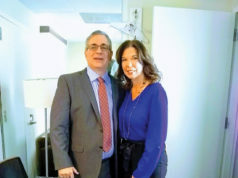 The club’s first boathouse was downtown; they moved to their current location five years ago after construction of the RadioShack headquarters left them without parking or direct access to the water. 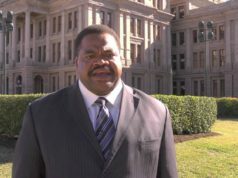 Smith said the club was looking for a location with a long, straight stretch of water that is protected from the wind – and found it at Beach Street and I-30 after the Tarrant Regional Water District built some low-water dams on that stretch of the river. Channelization of the Trinity had long ago straightened the river’s course in that area, and the water is generally calm. Club members teach and compete at events across the region. Two weeks ago, Fort Worth rowers competed at a meet in Austin; other meets are scheduled for The Woodlands, north of Houston, and in Houston proper later in the spring. The club also offers local classes for people of all ages. Membership chairwoman Kristen Larimore was drawn to rowing because she enjoyed the rowing machines at the gym. She signed up for classes and was instantly hooked. “I figured, ‘What’s better than being outside and on the water, and getting exercise at the same time?’ ” she said. Larimore said that about 12 percent of those who take classes stay on as club members. Many others give up on the sport because it’s a lot harder than it looks. According to Smith, a lot of men develop their love for the sport as Boy Scouts. “The guys that really enjoyed it enjoyed rowing anything, even if it was a washtub; so to be able to move into these boats when you already had a real desire to row made it nice,” he said. Many women, on the other hand, have become familiar with the sport because of Title IX, the federal law that mandates equal opportunities for girls and women in school athletics. The NCAA decided to focus its efforts on three sports that officials felt could attract more women athletes: softball, field hockey, and rowing. The University of Texas in Austin hired a nationally renowned coach, built a world-class facility, and now boasts one of the nation’s top varsity women’s rowing teams. UT-Austin doesn’t have a men’s rowing team, though men and women both belong to the rowing club with more than 300 members. Southern Methodist University, Texas A&M, and Baylor also offer women’s rowing as a varsity sport – but not any Tarrant County colleges. Smith said that the new technology and its cost are the biggest change he has seen since he entered the rowing game more than 20 years ago. 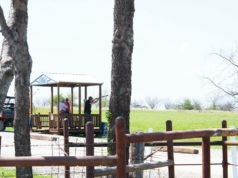 The Fort Worth club provides boats to students. Members train on rowing machines before hitting the water. This year’s first round of classes started this week. The club also provides support for the Boy Scouts’ rowing program, and members hope to someday work with Fort Worth schools and local universities. For now, the club isn’t lacking for support locally. Smith said that almost every time he wears his rowing club shirt out in public, someone has a big “heck ya” for him. “They don’t all want to row [themselves], but they will almost always stop us and encourage us to continue on,” he said.